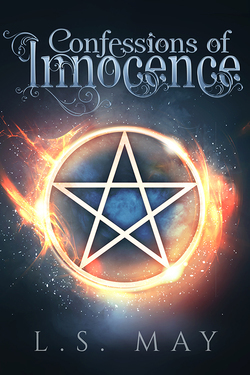 A teenage witch is trapped between two destinies: one good, one evil. The Innocence Cooper series is now complete! 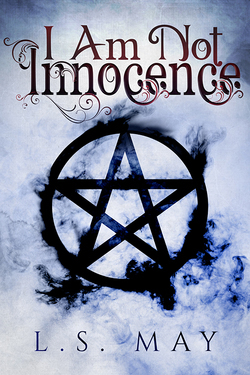 Seventeen-year-old witch Innocence Cooper was born to rule. She will inherit leadership of the Council of good magic when her father dies or retires. Every witch in the world knows her name. None can ever know her secret. Her active power - controlling fire - is granted by the evil spirits, not the good ones. A prophecy made decades before her birth declares she will rule over all evil magic. For seventeen years, Innocence has done the best she can to ignore it. But then the new kid reveals he knows her secret, he shares her power and he came to recruit her. Her secret is getting out. Spoiler Warning: It's impossible to blurb the second book without spoiling the first, so don't read below unless you have read Confessions or don't mind being spoiled. Innocence Cooper has one regret. Sometimes it's killing Elliot Fisher. Sometimes it's loving him. He betrayed her. As ruler of evil magic, she couldn't just let him walk away. As the girl born to rule over good magic, she should have walked away with him. But that's all in the past. Until Innocence receives an email allegedly from Elliot claiming his death was faked. If she believed it, her mission would be to find him. Instead, she decides to make the Resistance, led by her sister Erin, pay for trying to hurt her. But what if Elliot is alive, and on a mission to save her? Free from her birthright and her prophecy, Innocence Cooper has but one mission: taking down the coven that tried to destroy her life. But when the last member standing leads her to a new prophecy, she doesn't know what to think. Worse, her obsession blinded her to the war breaking out between good and evil – between the side she was born on and the side she swore to protect. More die every day. Innocence is determined to stop it, but without soldiers to command, without a title or a birthright, it will be her toughest challenge yet. Finding the afterlife not to her liking, Innocence Cooper's archenemy Kim uses her connections to get her hands on a possession spell. Kim plans to use it on Innocence – to slot into her life and fool everyone. But Kim didn't count on Innocence having a powerful, recently deceased ally, and the process might not be as seamless as she hoped. Born a spellwrite and with the rare ability to use more than one active power, Kimaya was hailed a queen by the witching world, her power envied and revered. But she wanted to throw it all away for the ungifted boy who stole her heart. The decision to sacrifice her position for love will cost her more than she could possibly imagine. After taking over the Council, Innocence Cooper thought leading it would be the easy part. Then a witch turns up dead, magic itself starts dropping in and out like bad Wi-Fi, and her boyfriend's father, Sam, goes missing. All signs point to witch hunters, and Innocence's boyfriend, Elliot, is the next one in their sights. With the hunters blocking magic, fighting them seems impossible, but there's no hiding anymore. Can Innocence save her Council, her people and her city? Bonus story Ghosts of Innocence included! As a member of witch royalty, Melanie Cooper should be one of the most powerful and respected witches of her time. But Melanie was born without an active power - half a witch as they say at her school. Weak. And that's exactly how Melanie feels. The only way to fix it is to seek out the dark masters - powerful, ancient beings who could give her what she wants, for a price. With Melanie's bloodline coming under attack, she can't afford to be vulnerable. But what if there was a good reason she was never granted an active power? Melanie's royal bloodline has a secret: a curse that will claim one of their lives within a month. The caster, a powerful witch with a vendetta, seems to have disappeared, and even with Melanie's unique power, she's running out of ideas to break the spell.